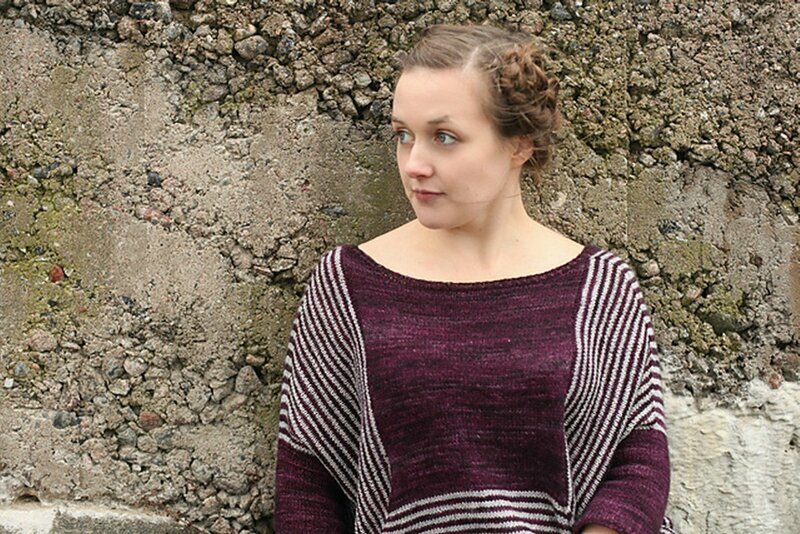 Taken from Interpretations Volume 2: "True Friend" Here and there, going back and forth, going up and down; this sweater focuses on a new construction and striping that makes the construction even more visible. 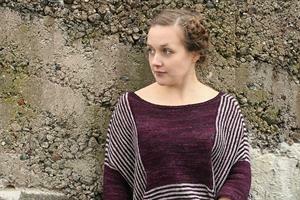 Focus your senses and see a new lovely sweater form on your needles! 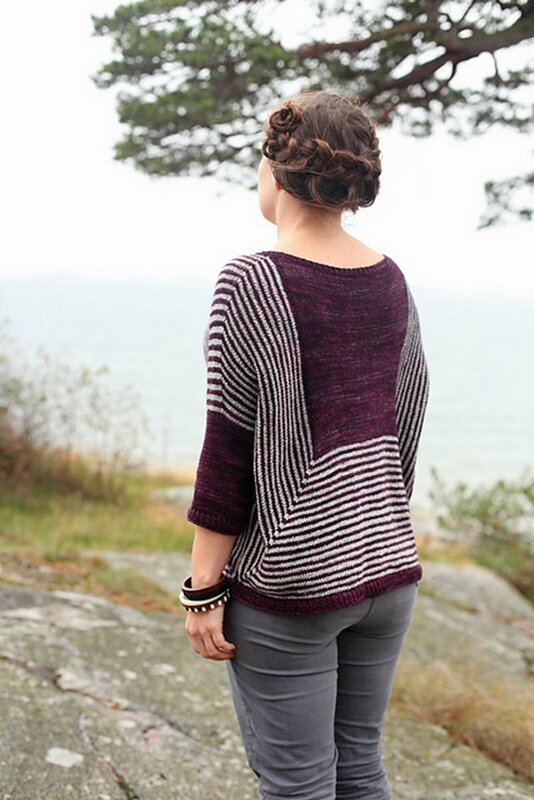 Completely seamless, this sweater is fun to knit and super comfortable to wear. This pattern is from Interpretations Volume 2, pg 66 - True Friend. Size US 2.5 and US 4 circular 32" needles as well as US 2.5 and US 4 double points (or size needed to obtain gauge) are required but not included. Gauge: 24 sts and 32 over 4" in stockinette on larger needles. Color Shown is Duchess (MC) and Smokestack (CC). **(Note: If you are making a kit with multiple color options, add the following note including br tags after the pattern description: "